We take care of your HR processes while you take care of your employees. From on-boarding and attendance management to time tracking and appraisals, we’ve got it all covered. HR involves numerous complex functions and processing. With Zoho People, you get a simple yet comprehensive and flexible system to manage all your HR processes so you can focus more on your people. As HR staff, you know that building a collaborative workplace is vital for your employees to thrive. Zoho People allows employees to track not only their activities but also their teamwork. Whether sending offer letters, contracts, or updating your policies, there’s never been a better way to manage and share all your HR documents. Zoho People’s File Cabinet stores all your documents in a single, central, secure location. Sort, organize, and share files and never get lost in the shuffle. 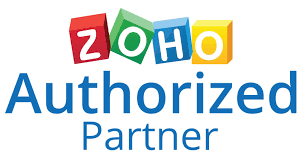 For the myriad documents that need to be signed and filed, Zoho People integrates with Zoho Sign, Docu Sign, and Adobe Sign. Zoho People empowers you to choose which members of the organization have access to view/edit particular documents, modules, or even locations. IPs and Geo-tracking will help you even validate employee check ins and time logs. In need of HR Software to manage your people? Click the WhatsApp icon to get in touch with us now!